Sometimes we get so caught up in traveling to Europe and exploring the world at large that we forget the gems we have in our own backyard. Living in the New York area means the world is literally at our fingertips. A short drive can take us to comfy B&B for the weekend or to an upscale hotel in Baltimore. Read on for our favorite gems. 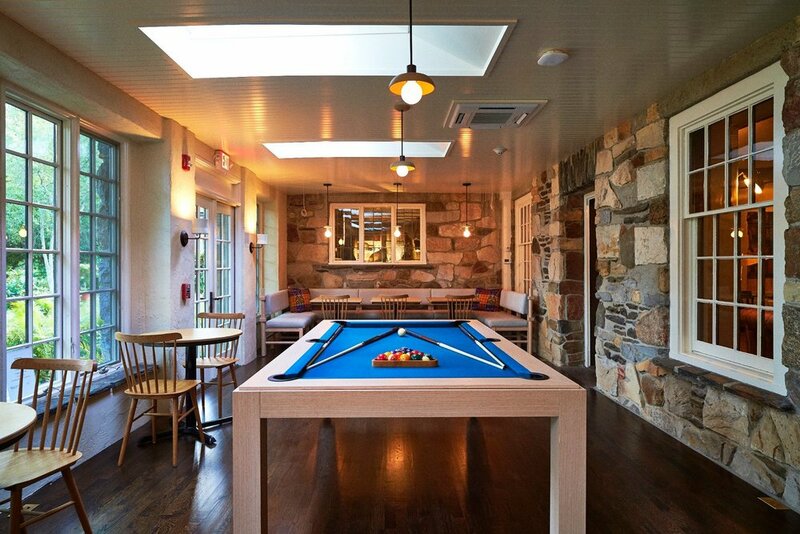 This hidden escape located in Anemia, NY was a recent Hotel Crush of ours for good reason. Situated on an estate used for inns and retreats since the late 1700's, this place has certainly not lost its charm. Troutbeck is a place where you can relax and unwind from hectic modern life. We love its homey feel with comfy guest rooms as well as a pool, grill, tennis court, library, living room, and even a pantry. Guests have the option to take their pick of food from a fully stocked pantry and refrigerator at any time of day to enjoy on an honors basis. With an in house restaurant that uses locally sourced organic ingredients, you can enjoy simply yummy food while relaxing or pondering like a philosopher. 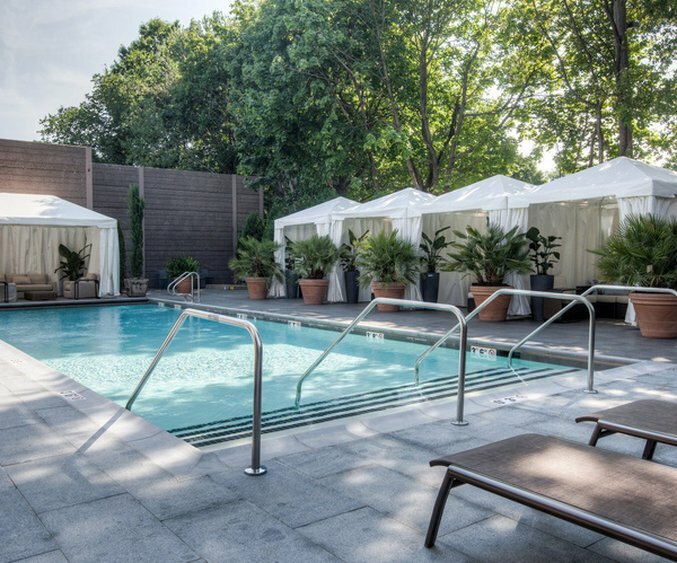 In the heart of NYC, The Whitby makes for a great surprise weekend oasis. Get the most out of your stay by seeing a movie in the Whitby Theater, enjoying afternoon tea, exercising in the fitness center, or having a drink and a bite at the Whitby Bar. This hotel is a hit for Downtown Abbey fans as it features a Downtown Abbey exhibition followed by afternoon tea. 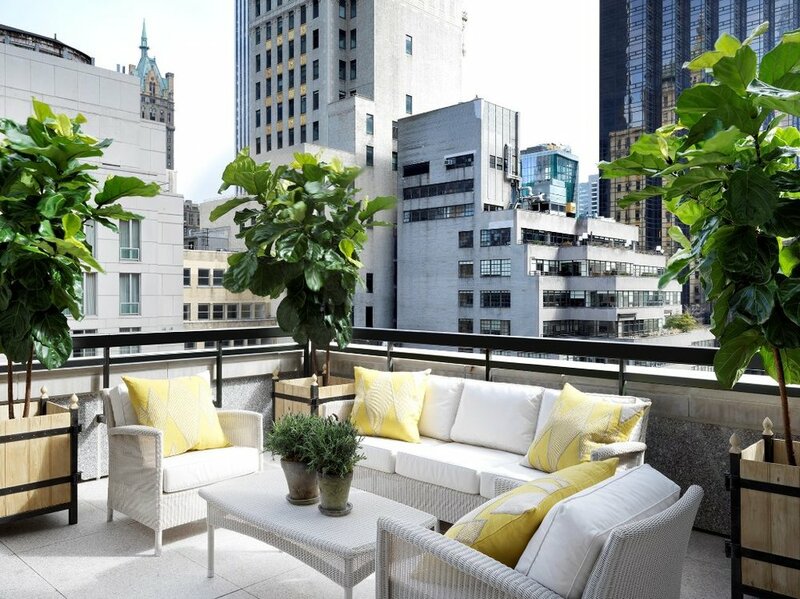 With so much to offer, it would be a crazy not to take advantage of this new NYC paradise. For years, Scribner's Catskills Lodge has been the ideal under-the-radar spot for adventurers seeking refuge from their daily lives and explorers looking for something new. 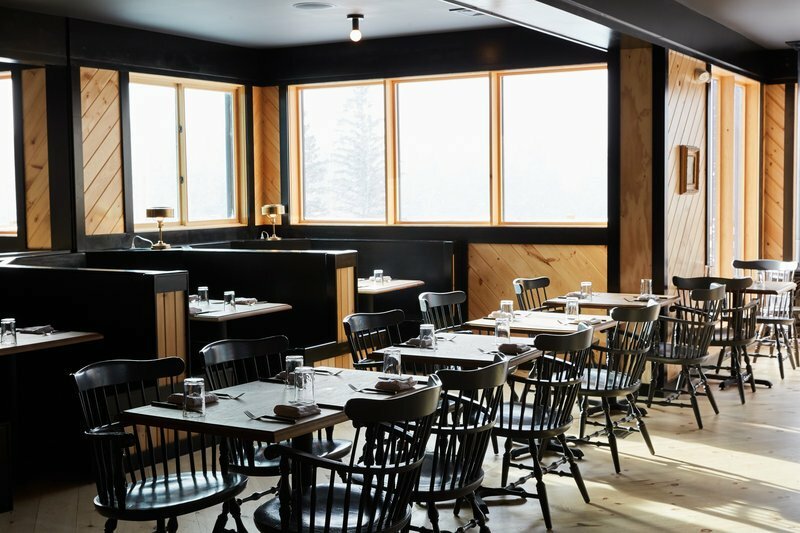 With the lodge's newly redesigned minimalist aesthetic, city slickers can finally enjoy the Catskills in all its glory without sacrificing aesthetic and service. With 20 acres of mountainside to explore, you can spend a couple of hours apple picking in the foothills or spend your day walking Laurel House Trail to reach Huckberry Point. Unwind from your day at any of the lodge's multiple restaurants and sitting areas. Best of all, they are pet friendly, so feel free to bring your furry best friend with you to relax or explore. The J House Greenwich is the perfect place for a weekend away from all of life's pressures and expectations. 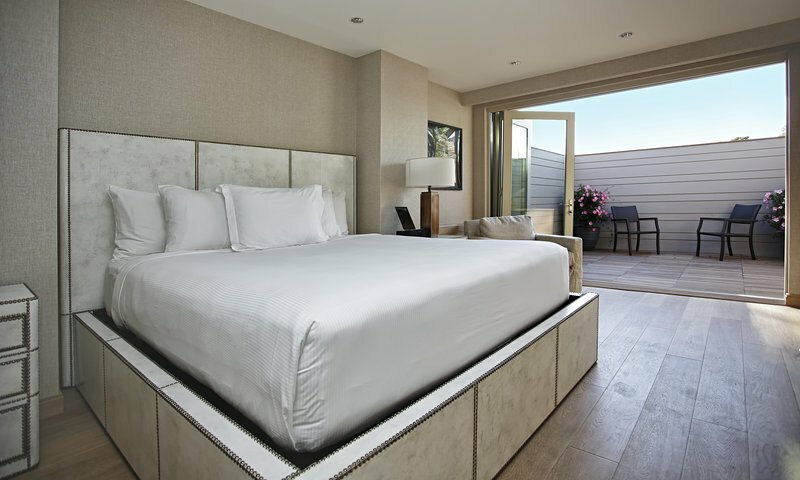 With a modern and raw interior, this hotel offers high tech spacious guest rooms that will keep you occupied for hours. Start your day off at the fitness center followed by a tasty continental breakfast. The J House also offers their relaxing J Spa along with an outdoor heated pool. Eat at the J House Restaurant or sit for a cup of coffee at the J House Coffee Bar. You can go out and explore the nearby area, but the reality is the J House Greenwich is more than enough to stay tucked away on your relaxing weekend away. Known for its famous owner, Richard Gere and situated in small town not far from NYC, this charming B&B is sure to recharge you. With only eight bedrooms and excellent service you'll feel like you're in the comfort of your own home, but treated like you're at a 5-star resort. This charming Relais & Chateaux bed & breakfast spot is a great place for yogis to get away from all the madness, with daily yoga classes and workshops. Dine at their two unique restaurants The Barn and The Farm House and you'll never grow hungry. Needless to say you'll leave the Bedford Post Inn renewed and ready to conquer the busy world. Look no further for the next hot spot for a weekend getaway than the Sagamore Pendry Baltimore. 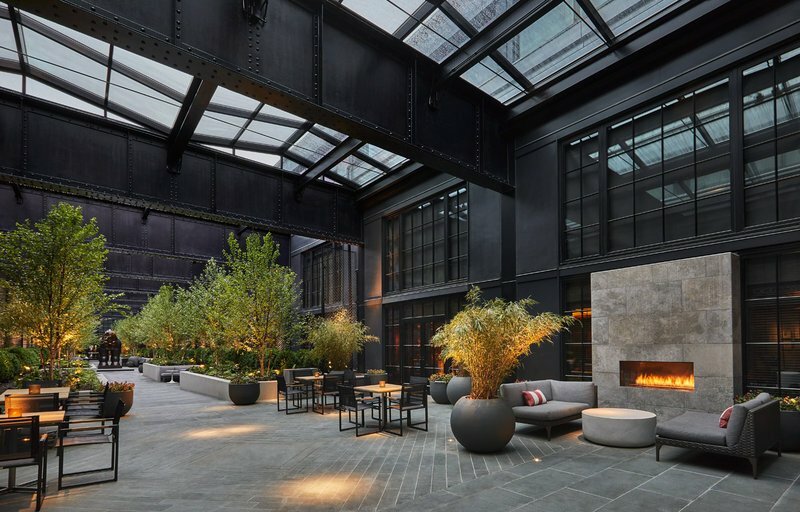 Situated on Baltimore's historic Recreational Pier, this newly designed hotel from Montage Hotels' new sister brand, Pendry, offers magnificent rooms and impressive views that'll have you feeling like you are sleeping right inside Baltimore's harbor. Dine at one of the hotel's three dining options: Rec Pier Chop House, the Canon Room an American whisky Bar, and the pool bar and grill. 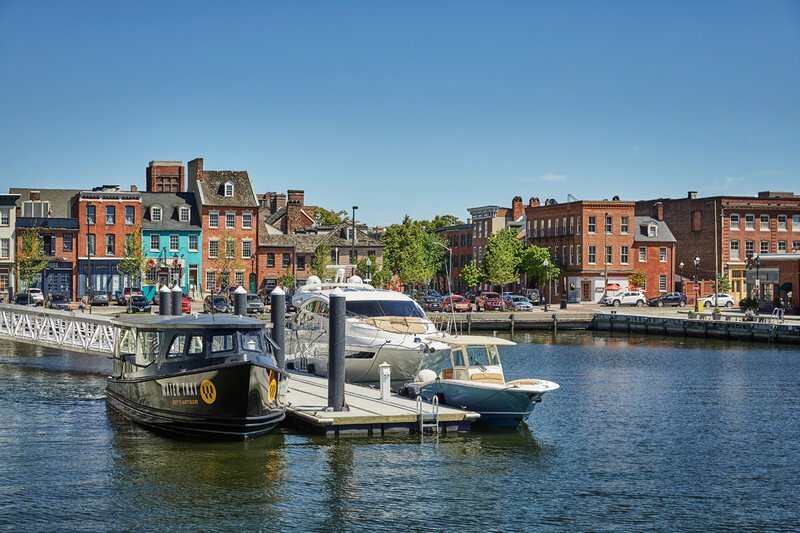 Take advantage of your location and walk around the charming Fells Point neighborhood. You can even go to a baseball game at Camden Yards by water taxi! Another Relais & Chateaux gem, this New England seaside resort first opened its doors in 1868 and closed more than a 100 years later in 2003. In 2004, a new building was constructed, which was modeled after the original hotel. 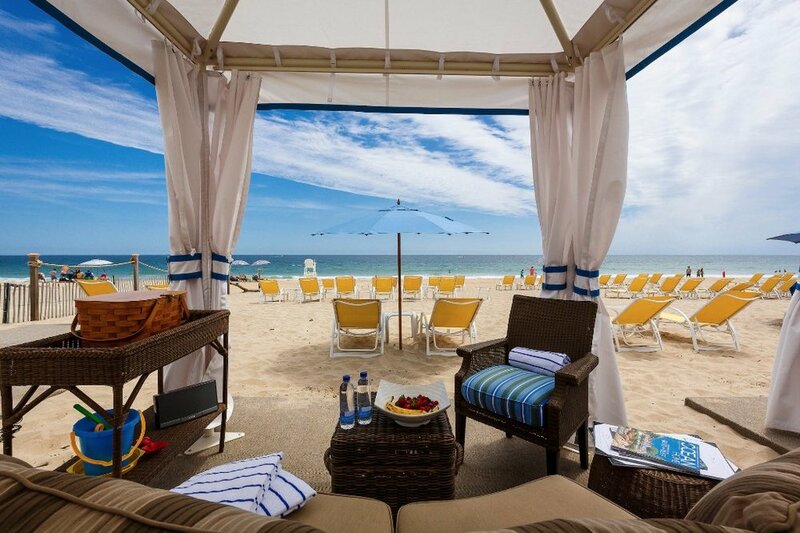 Ocean House is the perfect weekend oasis with comfortable rooms and a private white sand beach with cabana beach service as well as complimentary refreshments in the afternoon. Enjoy one of the hotel's many retro-chic activities including a croquet lawn, putting greens, a shuffle board court, a squash court, or you can stretch yourself with yoga and culinary education classes. Take advantage of the full service hair salon. Catch a movie with your family is the screening room. Needless to say this resort really has it all. Less than 2-hours from the hustle of Manhattan, this retreat exemplifies serenity and relaxation. Tucked within 58 acres of forest, the Grace Mayflower is the perfect hotel for anyone looking for a restorative weekend away. Nature lovers can take a hike on one of the thousands of trails in the nearby Steep Rock Reserve. There's also a myriad of amenities at the inn such as private lessons for tennis, fly fishing, archery, snow shoeing, cross country skiing and more. The more relaxed "traveler" can enjoy their breathtaking, sundrenched spa, unwind by one of the sparkling pools, and even take a hit at the putting greens. Have a delicious meal or a creative cocktail at the Mayflower Dining Room or the Tap Room. 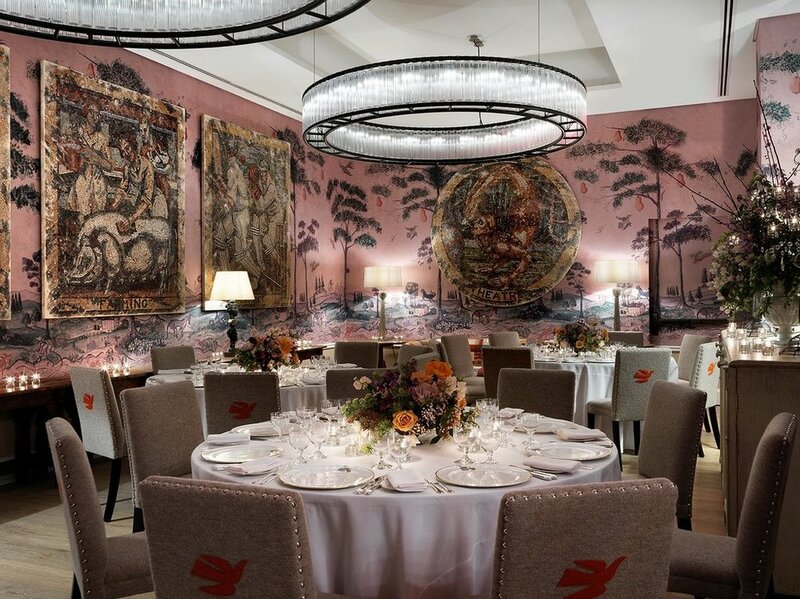 If all of this isn't enough, Mayflower offers their Bespoke by Grace Experience, which tailor makes experiences for each guest. Be sure to catch part two of the "In Our Backyard" series coming soon, America, The Beautiful which features USA destinations you don't want to miss, no passport required. Posted on June 14, 2018 by Emily Westaby and filed under FEATURED DESTINATIONS and tagged usa drivable escapefromnyc.